Thanks for popping by. 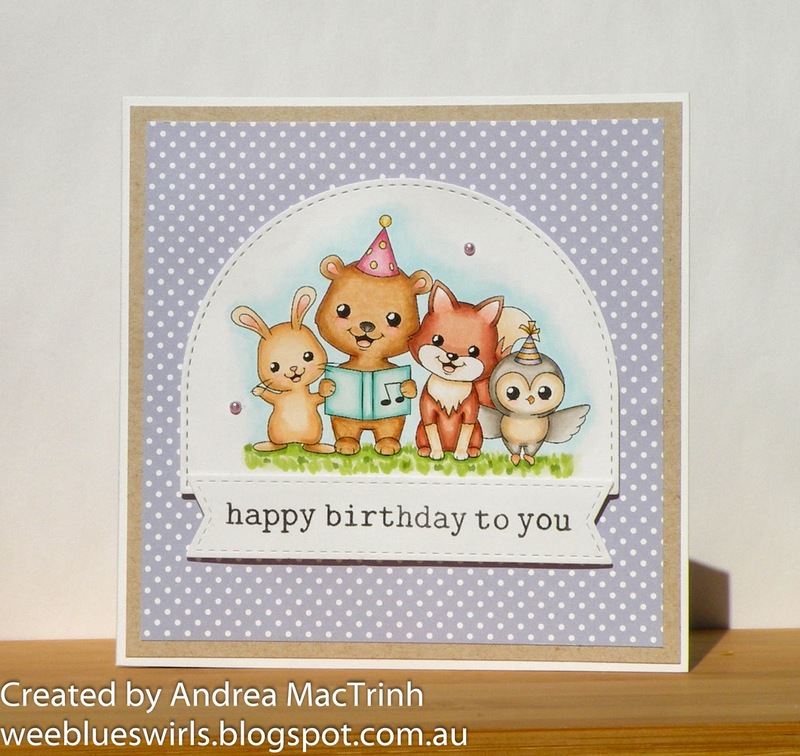 I have a sweet and simple birthday card to share with you today. I decided to keep my card very simple and try and get back into my colouring after my crafting hiatus (see my last post). I did enjoy colouring this super cute image in, even though it felt like I had completely forgotten how to colour! This gorgeous digital stamp is from Isabel Cristina Stamps, and comes in three formats - with birthday hats, winter caroling outfits and plain. I coloured the image in with my copics and die cut it with a stitched dome die from MFT. The sentiment is make up with words from the Winnie and Walter clear stamp set and cut out using a fishtail sentiment strip.